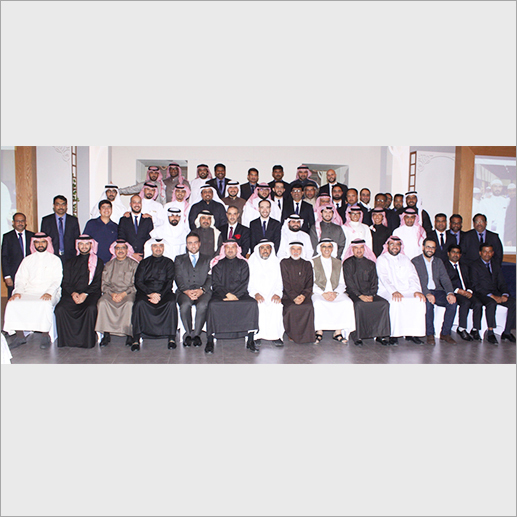 Kooheji Jewellery held its annual dinner for all its working teams and staff at the Ritz Carlton Hotel in Bahrain, in recognition of their active role and dedicated efforts during the year 2017. The event was attended by the Chairman and Members of the Board of Directors, members of the Executive Management Team, and all employees of the company, to celebrate a year of success achieved at most levels and specially during the participation in the Jewellery Arabia Exhibitions 2017. On this occasion, Mr. Waleed Al-Kooheji, Chairman of the Board of Directors, commended the efforts of all members of the Kooheji Jewellery family during the current year, their dedication to the company and their dedication to their work. He considered the members of the working and administrative teams a major reason and a cornerstone for the progress and prosperity enjoyed by Kooheji Jewellery in the markets of the Kingdom of Bahrain and Saudi Arabia. Mr. Waleed Al-Kooheji said: "This annual celebration comes in recognition of the employees, to discuss the challenges and successes achieved this year and to discuss our plansfor the coming year”. He Added: "Such meetings provide an opportunity for everyone to speak their opinions on the various issues we face, and enhance the family relationship between all the members of the Kooheji Jewellery teams. Kooheji Jewelry celebrated its 65th anniversary this year, and to mark this occasion and for the first time launched a special collection of its design and manufacture under the name of the "Fajer" collection, which was admired and praised by all customers.